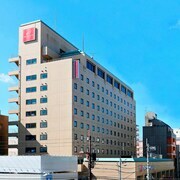 Top 10 Matsuyama Hotel Deals from ￥32,195/Night! The staff at the front desk were very friendly and helpful and at least one spoke excellent English. Explore Matsuyama with Expedia’s Travel Guides to find the best flights, cars, vacation packages and more!